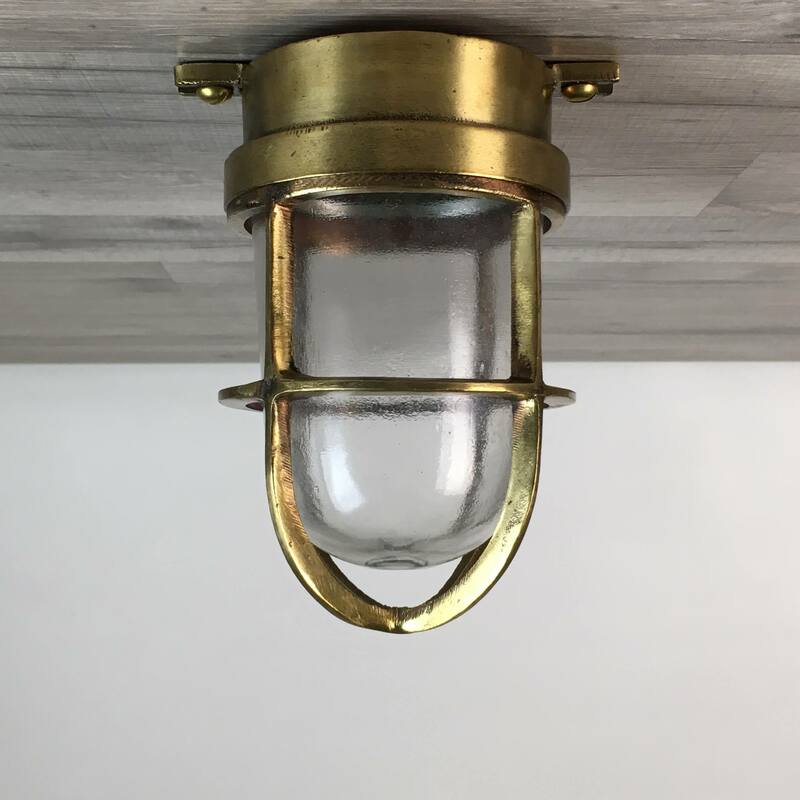 This vintage nautical cargo pendant light is 17 1/2 inches tall, measuring from the ceiling mount to the 9 3/8 inch diameter base. The glass measures 7 3/8 inches in diameter. 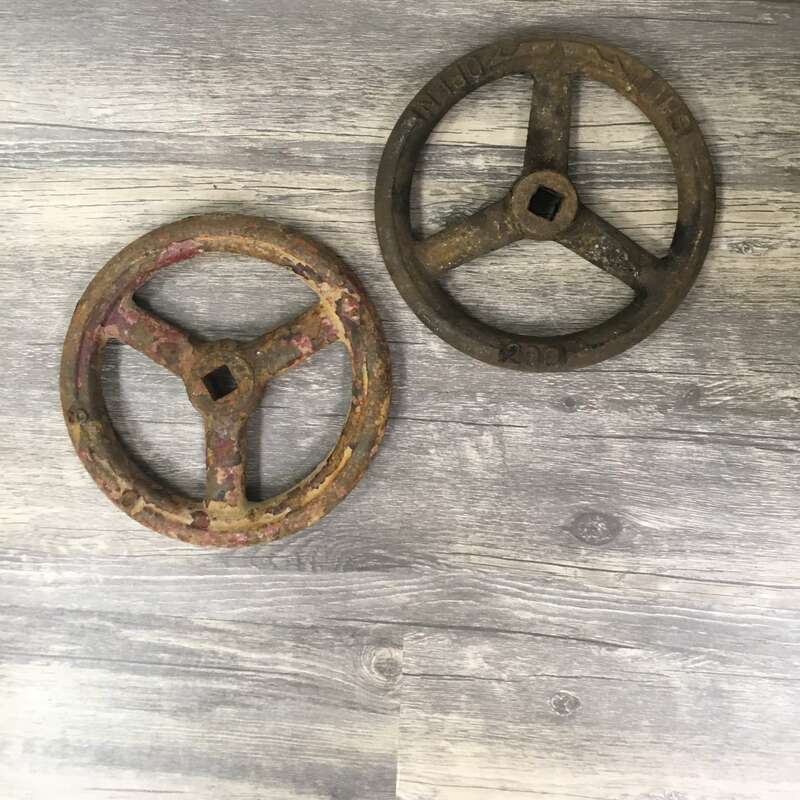 The ceiling mount is 3 7/8 inches in diameter and has four mount holes. This light weighs about 9 pounds. This light has been totally rewired using UL-Listed parts and includes a ground wire. The new bulb holder was made by Westinghouse Electric and takes a normal screw in house bulb of 100 watts or less. The new wiring and bulb holder is rated to work with any voltage under 250 volts. The wiring exits the light from the center of the ceiling mount. We have brass rods available in either a 10 inch length or a 12 inch length. Rods can also be lengthened or shortened – just tell us how long you need the light to be in total hanging length.